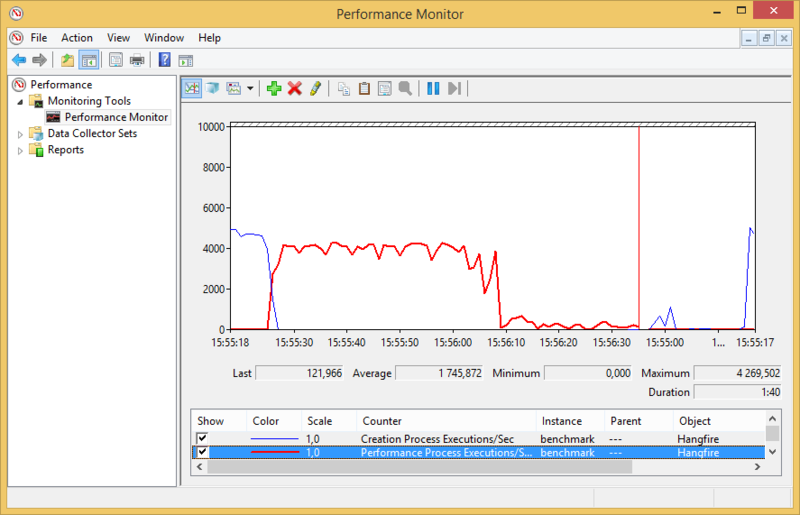 Performance Counters is a standard way to measure different application metrics on a Windows platform. This package enables Hangfire to publish performance counters so you can track them using different tools, including Performance Monitor, Nagios, New Relic and others. Also, ensure your IIS/ASP.NET user is a member of the “Performance Monitor Users” group. Want more? Just open a GitHub Issue and describe what metric you want to see.